WASHINGTON — A Texas Republican congressman says it's "absolutely repugnant" that the GOP-led Senate hasn't acted on repealing the health care law and he singled out "some female senators from the Northeast." In a radio interview with "1440 Keys," Rep. Blake Farenthold said the Senate has failed to show the courage to dismantle the health care law. The Senate is expected to vote Tuesday on whether to move ahead on legislation. 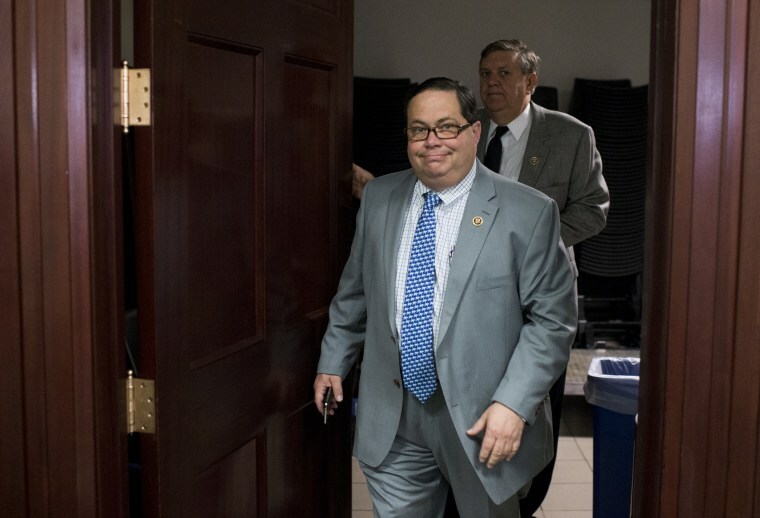 Farenthold complained about some female lawmakers and said, "If it was a guy from south Texas, I might ask him to step outside and settle this Aaron Burr-style." Maine Sen. Susan Collins has been consistent in opposing the GOP replacement to Obamacare. Other female senators who have expressed reservations are Shelley Moore Capito of West Virginia and Lisa Murkowski of Alaska. The lawmaker said Monday he was only joking.